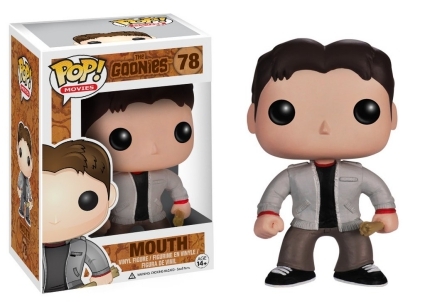 Goonies never say die! 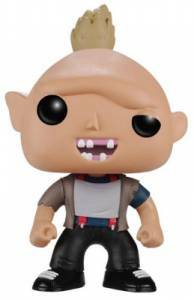 Thankfully for fans they never will with Funko Pop The Goonies figures. 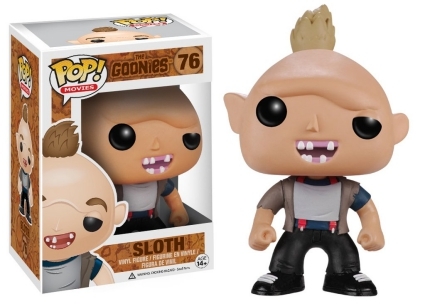 Although Funko Pop The Goonies mainly features the boys from the Goon Docks, Sloth actually begins the set housed in the Pop! Movies lineup. The lovable would-be-villain has just a patch of hair, wearing a gray shirt, black pants and matching shoes. 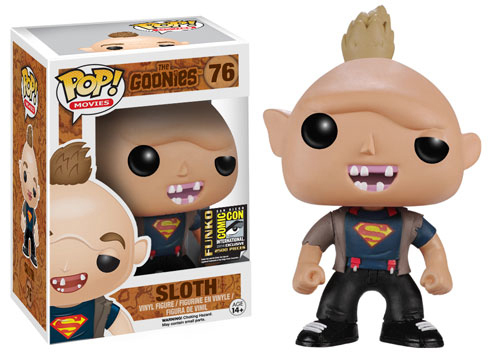 Since Sloth did help the gang evade the rest of his family (the Fratellis), the 2014 San Diego Comic-Con exclusive in a Superman t-shirt seems fitting. 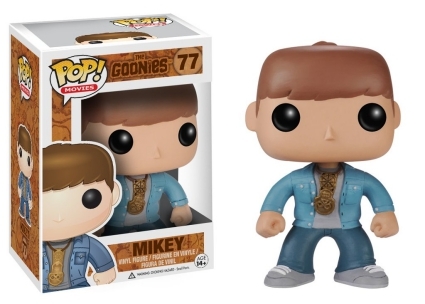 Shop for Pop Goonies Figures on Amazon. Ready to find treasure, Sean Astin as Mikey keeps the gold skull piece around his neck, while his best friend Mouth (Corey Feldman) holds One-Eyed Willy's treasure map. 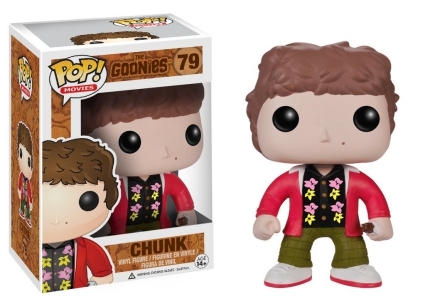 Moving on, Funko Pop The Goonies really captures Chunk down to the last detail, including the small mole on his cheek. The inventor of the group, Data wears a tan overcoat and his "007" belt buckle that turns into just about everything, even a punching glove. 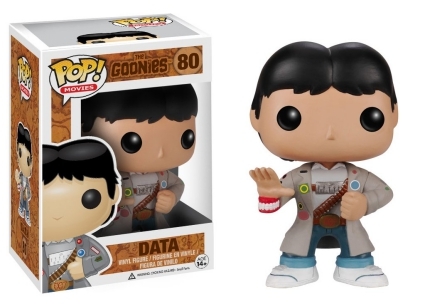 Also unique to Data (we're pretty certain of this) is the set of false teeth worn around his wrist like a bracelet. 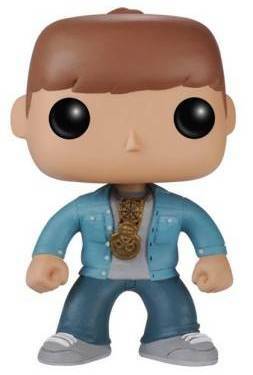 View more information about Goonies collectibles with our related guides.